There will come a time in every homeowner’s life when you will have to hire someone to work on your home. Regardless of your self-appointed category of skill level – from “needs help screwing in a light bulb” to “DIY master of handy-projects” – inevitably a circumstance, often of the emergency variety, will find you flipping through the phone book in search of hired help. When a sudden service need arises, the luxury of time and a selective process with a Mary Poppins level of scrutiny go out the window. Choosing a specialty emergency water damage response or San Diego water damage restoration contractor differs greatly from the bidding process of a kitchen remodel. Nonetheless, it is still vitally important to know how to filter your options and find the best fit for you and your home. Using water and mold damage as a specific example, there are usually two levels of urgency. Situations of sudden and accidental water damage qualify for and typically justify an insurance claim through your homeowner’s insurance carrier. While a phone call to your claims center should be a part of the process in restoring your home, your first call should be to a qualified water damage and flood restoration company to rapidly begin the dryout process. Performing even quick research to find a team you feel you can trust before your insurance carrier has a chance to pressure you into allowing their hired vendor into your home can go a long way toward easing your peace of mind in a stressful situation. The second level of urgency involves a long-term problem where mold or deterioration may be present, and may not qualify for insurance coverage. 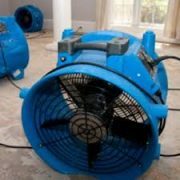 While the San Diego water damage restoration or mold remediation contractor selection process is similar, this scenario differs in that response time is less important than quality of work, especially when having to pay out of pocket. The mold growth you just discovered under your kitchen sink did not happen overnight, which means you should not disqualify a reputable mold remediation company simply if they are unable to schedule an appointment that same day. Keep this in mind: companies who advertise a specific, impressive response time are able to do so for a reason. This reason may mean they do not have a high volume of work because they are not reputable or well-established, or it may mean they are able to respond right away because their response “team” is a single on-call technician who may not be optimized for your specific need or situation. Also be wary of companies who advertise as offering free estimates, regardless of the unique situation. In this industry, you truly get what pay for, and when a potentially health-adverse mold situation is present, you certainly want a thorough and accurate assessment of how to proceed, from an industry professional. Most professional mold remediation outfits charge a nominal fee for the time it takes to accurately investigate a mold problem and work up a proposal. 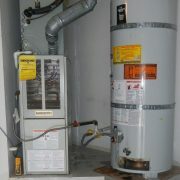 Ask if the inspection fee is credited should any work proceed. While background checks involving contractor licenses and industry certifications is a good idea, the best source of information lies within the great vault of Internet word-of-mouth. Online review sites such as Yelp!, Google Local, and Angie’s List are full of real-life, detailed accounts from past customers about their experience with a wide range of home service companies. Not all review sites are created equal however. If searching on Yelp!, be sure to click on the small link toward the bottom of a business’ profile to view their “filtered reviews”. In many cases, legitimate and helpful reviews are victim to Yelp’s much maligned review filter machine. On the other hand, Angie’s List is a fantastic tool, especially for homeowners, because it specializes in helping homeowners find and review businesses specifically relating to homeownership. While it does require a nominal annual fee for membership, this is a small price to pay for the assurance that a company’s reviews are honest, legitimate, and well-earned. Angie’s List also awards ratings and service accomplishments to further separate great companies from the crowd. Holding a membership for Angie’s List allows a homeowner quick access to a wealth of easy to find information whenever a sudden need arises to validate a business’ reputation. Once you have found that company which stands out for their quality of work and customer service, a quick check on your local Better Business Bureau site will give you an easy to read rating system based on history of customer complaints and can confirm that you’ve found your team. Look for companies with an A or an A+. Feeling confident through research that you are in great hands over what may be an extended period of interaction is vitally important when suffering unexpected water damage restoration or mold problems to your home. It doesn’t take long to perform even a cursory background check and may make all the difference to the physical state of your home – not to mention your mental well-being. 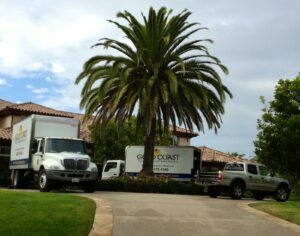 Gold Coast Flood Restorations is a local family-owned and operated water damage restoration and mold specialty company which has been assisting San Diegans with their water damage and mold problems for over 25 years. Gold Coast has an A+ rating with the BBB, and is currently the top-rated Angie’s List service provider in the categories of Water and Mold Damage. They are also a recipient of the Angie’s List Super Service Award 6 years running, and are a great example of a local business with an excellent reputation as validated by multiple Web authorities. Their friendly and experienced technicians are available 24 hours a day, 7 days a week to help you assess water damage to your home and help you on your way to a quick, thorough, and efficient restoration process. If you do experience or suspect a problem, do your research, give Gold Coast Flood Restorations a call today at 888-373-9243, and don’t let water or mold damage ruin your home!